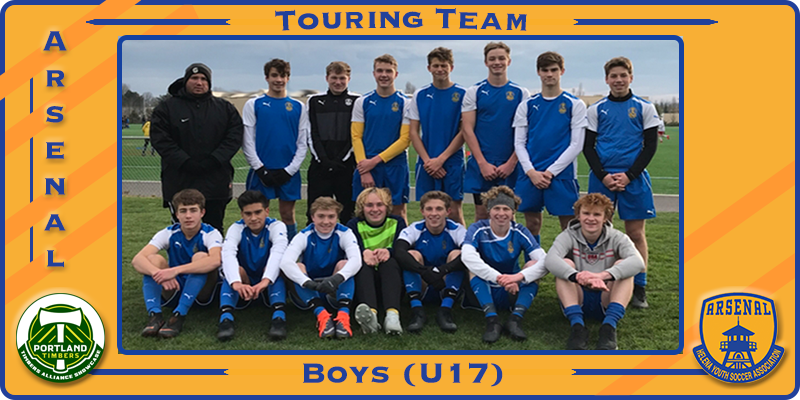 A group of Arsenal U17 players committed to form a Touring Team and attend two winter college showcase tournaments under the direction of coach Colin Baker. This boys team is comprised mostly of former members of the Spring 2018 Arsenal U16 Boys Montana State Champions team and they began their workouts in mid-November. 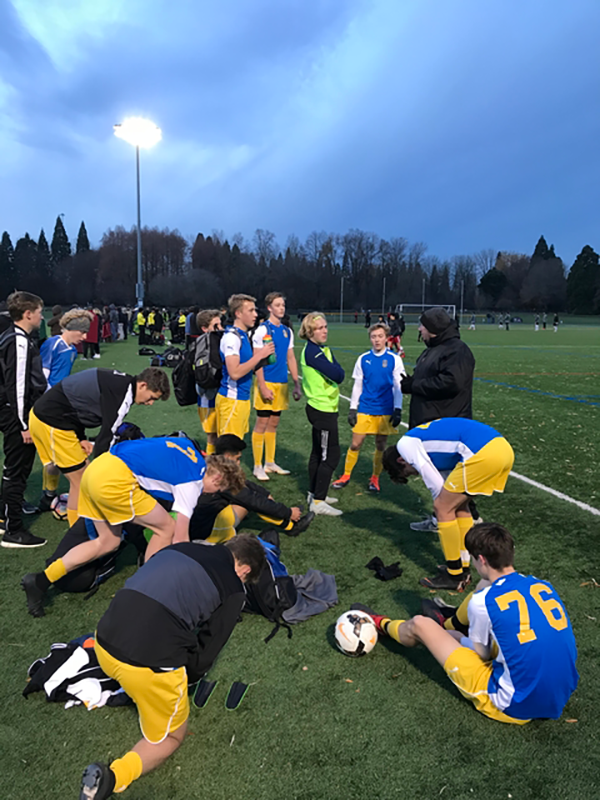 During the second weekend of December, their first tournament appearance was at the Portland Timbers Alliance College Showcase and ID Camp, held in Portland, OR. 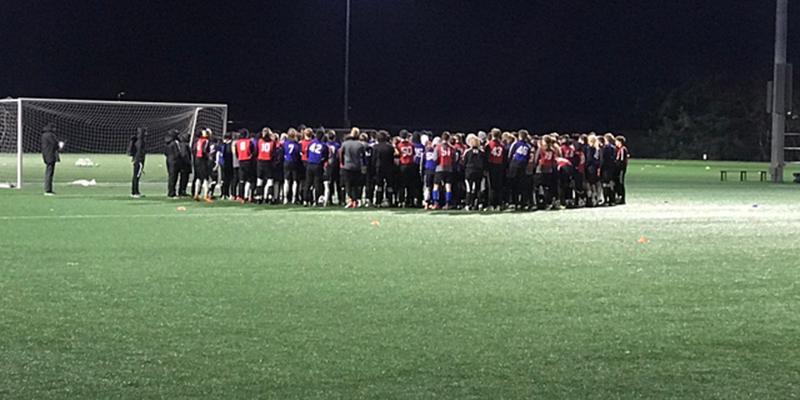 Nearly half of the team attended a pre-tournament college ID camp held at the Eastside Timbers Training Complex in conjunction with the tournament. This showcase tournament was attended by nearly 40 men's college programs searching for player prospects. Several Arsenal players garnered interest from visiting coaches. The Arsenal squad was rewarded for their efforts by posting an undefeated run of 3-0-1 in tournament play and finishing 4th in points among the 23 U17 Boys competing teams. In game 1 Arsenal beat Southlake Tusk United 2-0 with Russel Wells scoring both goals with an assist by guest player Moses Roque. In game 2 Arsenal beat Portland Academy FC 1-0 in the final minutes of play with a single goal scored by Marston Carpenter. In Game 3 Arsenal beat Eastside Timbers U17 Black 3-0. Nate Adamek, Russell Wells and Ethan Hayse posted 1 goal each with 1 assist by both Aidan Adamek and Moses Roque. In game 4 Arsenal tied Boise Timbers/Thorns 02 with Luke Schmitz scoring the only goal seconds before the half. The team earned compliments from college coaches and game officials for its level of play and demeanor on the pitch. 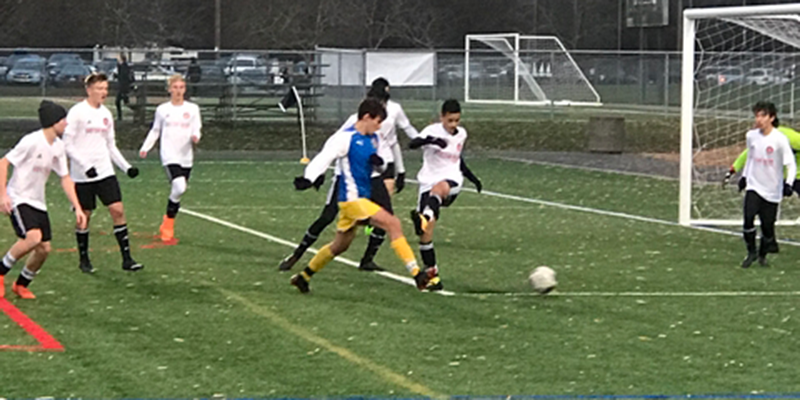 Rostered players attending the Timbers Alliance Showcase included Aidan Adamek, Nate Adamek, Caleb Hoxie, Eli Voss, Ethan Hayes, Henry Lauerman, Moses Roque, Jacob Demmons, Joshua Wilcox, Luke Schmitz, Marston Carpenter, Russell Wells, Shaun O’Brien and Austin Dengel. The team is scheduled to travel in late January 2019 to the Pac NW Tournament held at the Starfire Complex near Seattle over Presidents Day Weekend. Additional players Zander Huff, Auggie Tupper, Ben Vince and Gavin Groshelle will join the team for this trip.